Be Nice, Don’t Give Me Head Lice | Home Wise! Family Smart! Mention the word head lice and you will hear the parents in the room groan. Talk a little longer and someone is bound to start scratching their head. I seem to have that effect on people. The feeling that overcomes an individual who has had experienced head lice is usually one of stress and frustration. Battling these blood-sucking insects can be laborious, time-consuming and at times, a never-ending nightmare. Summer has come to an end and a new school year has begun. Bring on the teachers, pencils, friendships, books and…head lice? Why do the incidences of head lice correlate with the return to school? Believe it or not, head lice are rarely transmitted in schools. Although cases spike after extended periods away from school such as summer vacation, they are most often transmitted among close friends, cousins, siblings and other relatives during events such as sleepovers, camps, and extended visits. The discovery occurs when children return to school, but seldom does it get spread on school property*. *Transmission activities that may occur that can be the source of transmission in childcare, preschool and elementary school. What demographic most often gets head lice? Anyone can get head lice. It is not a low income, poor hygiene dilemma. Grooming may remove dead or dying lice, but not an active infestation of head lice. Infestations of head lice are found throughout the world and all U.S. children in preschool and kindergarten are affected most often than other groups. Their caregivers and housemates are also at greater risk. According to research, it has been found that the front legs of the head louse, Pediculosis humanus capitis have adapted to the round Caucasian hair shaft and found to be less common among oval-shaped hair shaft of the African-American child. Young girls are more likely to get head lice than boys because they generally have longer hair and play involves close contact. Adults are approximately 1/16 – 1/8 inch long (2-3mm), wingless, brown-colored insects with pincher-like claws allowing them to firmly grasp hair shaft. They do not jump (like fleas) or crawl long distances (like bed bugs), but they can navigate the jungle of human hair quite efficiently. Eggs or nits are less than 1/32 inch long (1mm), light brown/yellow/white, oval-shaped and sometimes appear to be the same color as the hair on which they are glued. They are securely cemented to one side of the hair shaft, close to the scalp. Eggs are often located at the nape of the neck and close to the ears. They do not move and cannot fall off. An active infestation of head lice is defined as live, moving and feeding individuals. Eggs or nits alone are not considered an active head lice infestation. Viable eggs are brown and located no more than 1/4 inch (6mm) from the scalp, empty or hatched eggshells are pearly white and will remain attached to the hair regardless of status. Due to hair growth over time, nits are considered non-viable if found 1/4 – 1/2 inch (6-12mm) from the scalp. Symptoms of an active case of head lice include tickling sensations, difficulty sleeping, rashes from scratching and an itchy scalp. To check for active head lice and nits, use a bright light and methodically comb and separate hair, examining the hair close to the scalp with a magnifying glass. What is the life cycle of the head louse? The head louse undergoes three stages: egg, nymph and adult. The female louse lays 8-10 eggs per day, which hatch in seven days and mature to an adult in another seven days. They molt three times to maturity and live for approximately 30 days. Eggs or nits do not move therefore are not transmittable; newly emerged nymphs rarely leave the head; and so adult lice are the only contagious form. Head lice depend on the warmth, humidity, and blood meal from the human scalp. Without a human host, adult head lice will typically die within 24 hours and nits within one or two days. How easily can headline be transmitted? Items in contact with head lice such as clothes, hats, headphones, blankets, rugs, etc. after 24-48 hours with zero contact, will have a low risk of transmitting head lice to others. They do not live or breed on objects or other animals besides human heads. Transmission occurs through close, head-to-head contact, which could include hugging*; immediate hat sharing*, headphone sharing*, brush sharing* or costume sharing*; or head touching like sharing a bed or pillow. What is the “no nit” policy and how does it affect those involved? A “no-nit” policy disallowed children to be at school if nits (viable or non-viable) were observed on the scalp. It is estimated that a child with head lice enrolled in schools with this policy missed an average of 4 days of school. During this time, they suffering loss of education, shame and stigma of head lice. The school loses annual funding, and parents lose wages for missing work to stay home with their child. Head lice do not spread diseases and are more of a nuisance pest than a major public heath concern. Many schools have lifted this policy due to research-based information debunking the myths about head lice transmission. It only makes sense, since by the time symptoms are apparent (~30 days) exposure to classmates and has already occurred. How do I treat for head lice? Objects such as brushes, combs, ponytail holders in contact 24 to 48 hours prior to treatment can be washed, soaked and dried in temperatures greater than 130°F to kill lice and eggs; any fabrics or carpeting vacuumed. After vacuuming, it us important to practice proper vacuum management: empty and discard contents outdoors in trash and wash canisters with warm, soapy water and dry completely. Insecticide sprays are not recommended for objects in the home to protect children from unnecessary pesticide exposure. Mechanical treatment includes combing hair with a metal fine-toothed comb to remove viable nits and lice, repeated every few days for at least two weeks. In addition, there is a variety of FDA-approved pediculicides sold over-the-counter and as a prescription treatment. These products are safe and effective when used as directed. Some product directions state to apply to dry hair; others to damp shampooed hair and some require a second treatment to kill emerging nymphs because most pediculicides cannot penetrate eggs. Abide the warnings of minimum age, potential allergic reactions, amount of product and time pediculicide remains on scalp – more is not better. Treat only those who have an active lice infestation or viable eggs and perform treatments at the same time to prevent reinfestation through future head-to-head contact. What are the some of the available pediculicides? 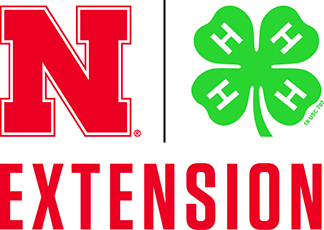 Use of trade names is for identification purposes only and does not imply endorsement by Nebraska Extension. What are the reasons our household struggles to control head lice? Some reasons for ineffective lice treatment include misdiagnosis, improper treatment, lack of thoroughness, insecticide resistance and repeated reinfestation. Make sure the problem is in fact head lice and not dandruff, sand, dirt or hairspray. Remember it is possible to have dead nits stuck to hair, but this is not an active head lice infestation. Treatment with pediculicides must be methodical and thorough, following the directions included with the product to break the louse life cycle. Performing both the pediculicide hair treatment combined with the combing, will kill and physically remove lice and nits. Check heads periodically and treat all family members with active lice at the same time to prevent reinfestation between treated and contagious members. Treating heads with pediculicides when no live lice are present will not deter or kill lice at a later time, and only exposes individuals to unnecessary insecticides, which may contribute to insecticide resistance. If lice are a persistent problem in your family, consider who and what activities may be the source of the active infestation. Discourage close head-to-head contact with other children and sharing personal items such as brushes, caps, headphones and pillows. Launder and dry linens and clothes, vacuum carpeting and bag any items that cannot be laundered. Are there any natural remedies to protect my head from head lice? There are no scientifically proven preventative treatments or protective shields to protect one’s scalp from head lice. We do not recommend any home remedies posted on the internet. They may irritate the scalp and skin, damage hair, and have little to no effect on head lice. Taia: Mom, I’m afraid of head lice. Me: Why? Just avoid close head-to-head touching and you’ll be fine. Taia: Well, I like Maggie and that’s all she does. Me: She’s a close head-to-head toucher? Me: I know, that makes it hard, Maggie is super cute. Who wouldn’t want to hug her? I’ve already decided that if she gets head lice, I’m going to make a documentary. That would be fun, right? Something that we may not think about is the head-to-head contact during selfies. Illustration by Jody Green, Nebraska Extension in Lancaster County. For more information about head lice visit Head Lice Resources You Can Trust from Nebraska Extension or visit the Centers for Disease Control and Prevention Head Lice Website. Information from this blog post can be found in this recently updated Head Lice in Schools document co-authored by my colleague, Dr. Jonathan Larson. ← The September 2016 Issue of the NEBLINE is on-line!